The most recent available reporting reveals that 13 wrong-site procedures were performed in Pennsylvania during the 1st quarter of 2013 (January through March 2013). Three were hand operations at the wrong site. Three were lumbar spine surgeries done at the wrong level. Three involved anesthesia or pain blocks given at the wrong site. Two patients had multiple procedures that were more than they consented to. One other patient had a graft harvest taken from the wrong site. One procedure was done on the wrong patient due to a failure to properly identify him. One of the incidents is an example of the failure of the healthcare personnel to properly verify that the correct site is marked on the patient's body. In that instance, a surgeon injected local lidocaine into the patient’s left mid-back and placed needles in the left mid-back before a transforaminal injection. The left side was the wrong side. The patient was supposed to undergo the pain block on his right side. According to the surgeon, prior to the procedure he had asked the patient if the left side was the correct side. Also according to the surgeon, the patient did not dispute this, so he proceeded to mark the patient for a left thoracic procedure. Even when a nurse read the consent, the surgeon still did not recognize that the marking was incorrect and went ahead with the procedure according to the (wrong) marking. 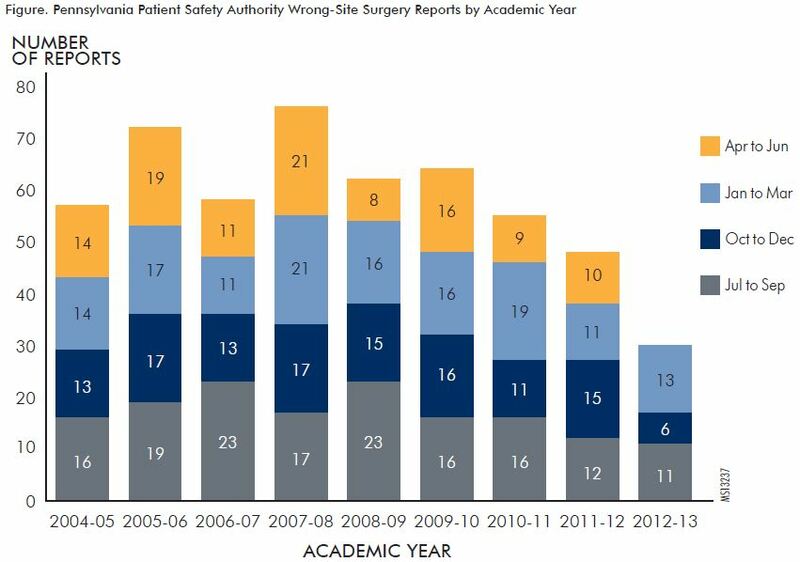 The ways to avoid wrong-site surgery are fairly basic. They include specifying on the Operating Room schedule the correct site when the surgery is scheduled, specifying the correct surgery and site on the informed consent, and having all personnel reviewing the information check for discrepancies and reconcile them with the surgeon and the other documentation.